Volleyball players, as with any athletes, need to have high quality footwear in order to attain their peak performance and avoid fatigue and injury. It is essential shoes have soles with a strong grip in order to allow the player the ability to move quickly without slipping. Their shoes need to be flexible and comfortable, so they can move quickly and easily in all directions. Flexibility is of key importance to their function on the court. The shoes need to be durable, as they will be worn for hours at a time, and the players do not want to continually invest in new shoes. The soles of a volleyball player’s shoes need to provide high quality shock absorption, as there is a good deal of jumping and impact for their feet to deal with. Also, the build of the shoe should promote quick lateral movement. As all of these characteristics are important, cross trainers are uniquely fitted to outfit volleyball players. Often, volleyball players will wear volleyball shoes during play. Volleyball shoes are similar to tennis shoes or cross trainers, but with some significant differences. Volleyball shoes are designed with a gum rubber sole to enhance traction and prevent skid marks on gym flooring. This assists with preventing injury by giving the athlete sure footing on slippery court floors. As volleyball players spend significant time on the balls of their feet, volleyball shoes are designed with very supportive midsoles. This type of stance is ideal for quick movement in all directions. The reinforced midsole needs to be very strong as well as flexible, as it absorb the impact of this movement. Typically this is achieved by building the midsole from some variety of foam, although higher end volleyball shoes utilize some sort of air or gel cushion as well to minimize effect of impact. Volleyball shoes need to be lightweight and comfortable for prolonged athletic wear, so the upper parts are typically made from nylon or mesh. These fabrics allow for increased airflow to the foot, improving comfort and breathability. Even though volleyball shoes are high quality and effective for volleyball use, they cannot be utilized for other sports or running normally. The soles are made from very soft gum rubber, which breaks down easily on rugged terrain or rough surfaces. They should be removed when leaving the court in order to prolong their life. Typically, a volleyball shoe will last one season before showing signs of age and requiring replacement. This is assuming the wearer is using them for four to five days a week in volleyball court settings. After this, the shoes will lose grip, and often the sides will become lax and cease to be supportive of the ankles and sides of the feet. 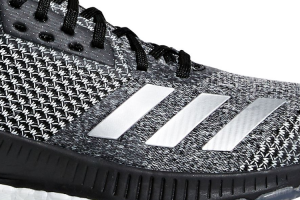 Although any athletic shoe can technically be used by volleyball players, cross trainers have additional features and benefits which make them uniquely fitted for the rapid changes in direction and frequent impact of volleyball. Cross training shoes are extremely versatile. They are built to withstand heavy impact, which is important for the jumping and shock absorption inherent in volleyball games. Another benefit of cross training shoes is that they offer additional ankle protection. Ankles can easily become twisted or damaged during volleyball games, so shoes with additional ankle protection can be helpful to prevent injury. Cross trainers are designed to allow for lateral movement, which is of key importance when playing volleyball. 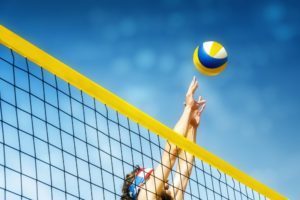 Volleyball players need shoes which are comfortable, as they wear them for long periods of time, and discomfort can inhibit movement and cause injury. Shoes need to maintain good traction during play, as slipping decreases performance and increases the likelihood of injury. Cross trainers often boast better longevity of wear, and will last at least a year if used moderately, possibly more if they are only used on the court. 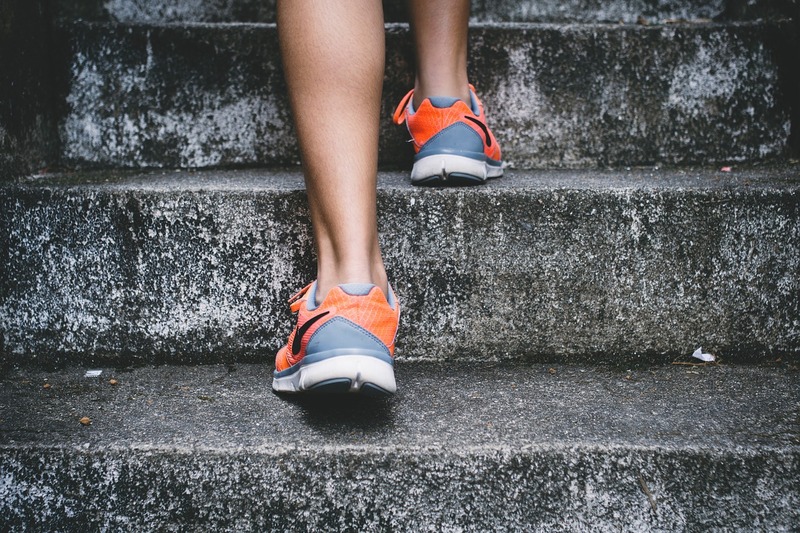 Another advantage of cross trainers is their diverse capability – you can use them for running or other activities as well as volleyball, as the sole is built to withstand different terrains and will not break down as rapidly as the gum rubber soles of volleyball shoes. There are many different types of cross trainers. However, some are better for volleyball than others. Let us explore several of the best cross training shoes for volleyball players. There are multiple shoes within each brand, and each has characteristics specific to them which fit them for specific purposes. For now, we shall explore only one shoe per company, in the interests of highlighting the variety and quality of cross trainers available to athletes. Asics primarily markets running shoes. They have many high quality varieties, geared towards every type of runner. 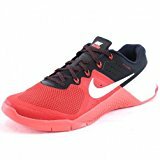 However, they have many high quality types of cross training shoes as well. Asics are affordable, high quality cross training shoes which can be used for many sports and are specially equipped for volleyball players. ASICS Gel-Instensity 3 is a particularly good model for this purpose. The rubber sole provides the traction needed during game play to prevent slipping. They are lightweight, and composed of mesh and synthetic materials to promote ventilation and comfort. 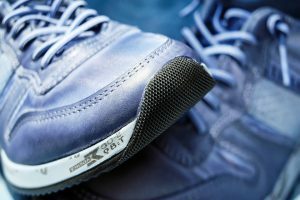 These are good features for prolonged athletic shoe wear. They are built with gel cushioning in the heel, to facilitate lateral movement by allowing for both shock absorption and quick return to mid stance from side movement. The Gel-Intensity outer is partially constructed from AHAR, a material specific to ASICS shoes which is very durable and withstands athletic wear and tear. 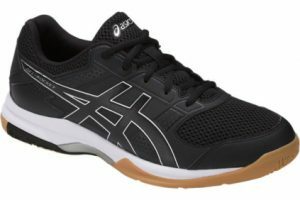 Overall, the Gel-Intensity 3 is a durable, reasonable, flexible cross trainer which serves well as a volleyball shoe. RYKA Women’s Synergy shoes are a stylish, comfortable option for female volleyball players. They boast rubber soles with good traction, and are extremely comfortable and lightweight. Women’s feet have narrower heels and wider forefeet, which RYKA took into mind when designing this cross trainer. The line is also designed with something they term “pivot point technology,” which makes them uniquely fitted for quick direction changes. RYKA shoes are built based on realistic women’s feet, and as such, as more comfortable for female athletes engaged in lengthy training. Due to this design, RYKA are among the highest rated cross trainers in the industry, and amongst the best cross training shoes for volleyball. Not only is it aesthetically pleasing, but the uppers are built from leather, synthetic, and mesh, to allow for durability and breathability. Not only are these shoes comfortable for athletic wear, but their strength of construction should allow for long-term usage. High quality cushioning is used in the heel, which allows for excellent shock absorption and mobility. For the male volleyball player, New Balance MX20 Minimus Training Shoe is an excellent option. New Balance shoes are geared towards athletes. The MX20 Minimus is a low profile cross trainer. This allows the athlete to be more sensitive to the ground under his feet, giving him a better understanding of the surface he is playing on. The upper is primarily constructed from lightweight mesh, to allow for breathability, comfort, and flexibility. They are also very durable. The tongue and collar of the shoe are padded, to maintain comfort. The shoes are treated with an antimicrobial agent, which inhibits bacterial growth and development of associated smells. The outsole is EVA, ethylene vinyl acetate, one of the best shock absorption materials available on the market. This allows for non-marking traction and greater durability. The Reebok CrossFit Nano 7.0 was designed with the Crossfit male athlete in mind. Because of this, the Crossfit Nano 7.0 is well-suited to the rigors of volleyball. The outsole has excellent grip and stability. The sole itself is rubber, with an excellent grip. Though intended for rope climbing, the grip is also beneficial for volleyball court maneuvers, as it maintains traction well on smooth surfaces. The uppers are partially built from Kevlar, greatly increasing the durability of the shoe. This design has very good mid-sole flexibility, for increased movement and pivoting capability. These shoes are also built for comfort, as they have an improved arch support from previous models, and are built from breathable materials. They are suitable not only for CrossFit, but are one of the best cross training shoes for volleyball. The Nike Metcon 2 is built for high-intensity cross training athletes. A characteristic specific to the Metcon is the Flywire mid foot technology. This helps prevent injury and allow for greater mobility by stabilizing the foot in the shoe, minimizing slippage. As with some other cross-trainers, the MetCon provides for excellent ground control. The wearer can feel more of the world around them through the sole, as it is a low profile shoe, which allows the athlete to better engage with their environment. These shoes are very adaptable, and they are designed for rapid movement and flexibility. The sole platform is flat and stabilized, enabling a more explosive lift. The sole has high traction, and is made of rubber, while the midsole is made from a dual-density foam, which allows for flexibility and comfort while maintaining a good arch. These shoes are supportive and compliant, an excellent combination for volleyball players. There are many cross training shoes which are effective as volleyball shoes. Shoes are specific to every athlete; feet are very individual, and require different shoe characteristics to enable the wearer to perform capably. However, several characteristics are always important when shopping for volleyball cross trainers. These characteristics are durability, flexibility, comfort, a cushioned heel, and grip. Each of the shoes highlighted are quality cross trainers. 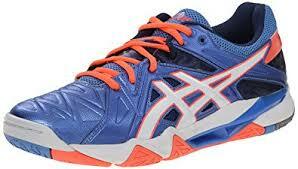 As such, they are some of the best cross training shoes for volleyball players available on the market.